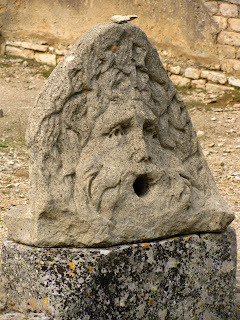 This guy used to spew water into one of the baths in ancient Glanum. I think he'd look awesome spewing water into a pond in my garden. Of course, I don't have a pond. Nor do I have this priceless relic from Roman times in Provence. Oh well! 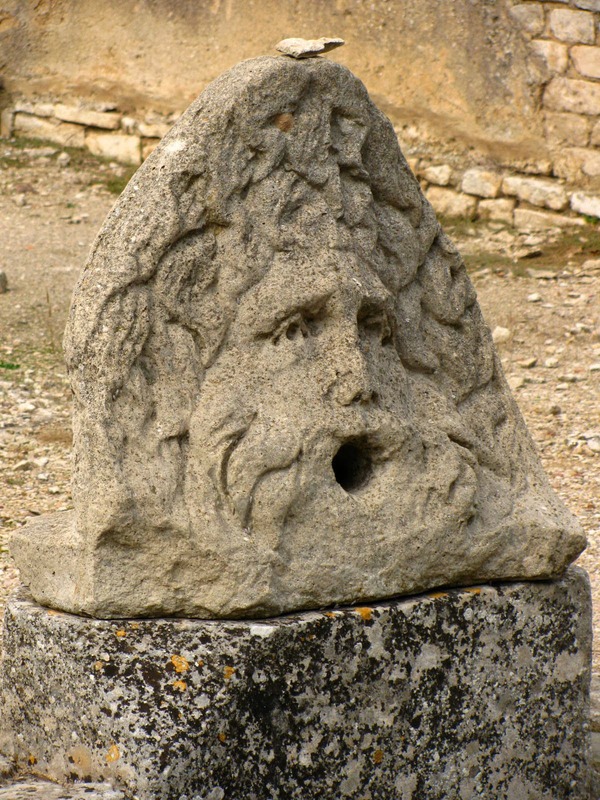 Without the fountain pouring forth from his mouth, he looks a little perturbed. Either that or he's singing in a choir. Like you, I wouldn't mind having him in my garden.